Dalhousie’s next chancellor has served at the highest levels of government, has taught in the halls of academia, and has donated her time and energy to countless causes across the country. No matter where Anne McLellan’s career has taken her, she’s been guided by the experiences she had at Dalhousie — both as an undergrad and as a law student. Now, with four decades of impressive accomplishments to her credit, her path has brought her back to her alma mater to serve as the university’s seventh chancellor. McLellan is best known for her career in politics, where she served as Deputy Prime Minister, but she’s been no stranger to Dalhousie in recent years. She is currently chair of the Dalhousie Advisory Council, a group of influential leaders and alumni from across North America and beyond that meets twice each year to discuss the university and offer advice and perspective. Having worked with McLellan in that capacity, Dal President Richard Florizone believes she has the ideal qualities for chancellor. The chancellor is a largely ceremonial role within the university, presiding at convocation and other university ceremonies. The chancellor also sits as an ex officio member of the Board of Governors and generally serves as an ambassador for the university. McLellan will be formally installed as chancellor during convocation ceremonies in late May. She will succeed Fred Fountain, who has served as chancellor since 2008. 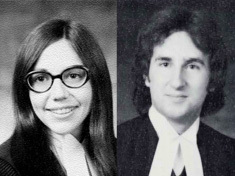 Coincidentally, the two were classmates: they graduated from Dalhousie Law together in 1974. (Those are their grad photos on the left). "I was delighted to see Anne's appointment and think it speaks quite uniquely to our law class," says Fountain. "Anne has a terrific amount of talent and experience and has kept in close contact with Dalhousie, most recently as chair of the Dalhousie Advisory Council. She brings national experience and connections to the role, while having deep roots in Nova Scotia." McLellan first came to Dal as an Arts undergrad in 1968 — describing herself at the time as “someone brought up on a farm outside Truro — Noel Shore, Hants County to be exact” — and immediately she came into contact with a new world of ideas. “When I think about the important influences in my life, Dalhousie University would have to be very close to the top of the list,” she says. Places like law school — and things like launching a career in academia and, subsequently, politics that made her one of the most recognizable leaders in Canada. 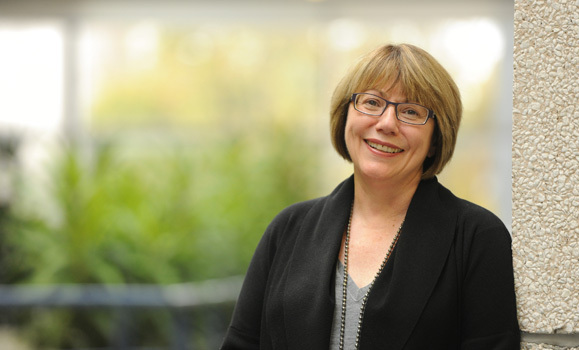 Before her time in Canadian politics, McLellan spent nearly 20 years in higher education as a law professor, first at the University of New Brunswick and subsequently the University of Alberta. She entered politics in the 1993 federal election as a candidate for the Liberal Party; she would subsequently serve the citizens of the Edmonton Centre riding for over 12 years as their Member of Parliament. A cabinet minister during her entire time in office, she quickly became one of the country’s most prominent politicians, leading several high-profile ministries including Health, Justice and Natural Resources. From 2003 until 2006, she served as Deputy Prime Minister in Paul Martin’s government. Since leaving office, McLellan has joined the law firm Bennett Jones as a senior advisor. She spent seven years as a distinguished scholar at the University of Alberta’s Institute for American Studies. She serves on the boards of several companies and community organizations. And she’s received several honours, including the Order of Canada, the Alberta Order of Excellence and honorary degrees from the University of Alberta and Cape Breton University. Though she’ll remain based in Edmonton, the city she’s called home for nearly 35 years, McLellan plans on being in Halifax several times each year as chancellor — not just during convocation, but other key events such as Homecoming. And she’s excited by what she sees ahead in Dal’s future as it approaches its 200th anniversary. And she hopes that, as chancellor, she can play a small part in helping shape and share that exciting future.